And you thought your old Macs loaded slowly! So you’ve got your perfect Apple geek room: Steve Jobs biographies on the bookshelves, iMac Pro on your desk, and maybe a couple of rare vintage Macs locked in a display cabinet. Looking for something for the wall? Look no further than the work of Glenda Adams. 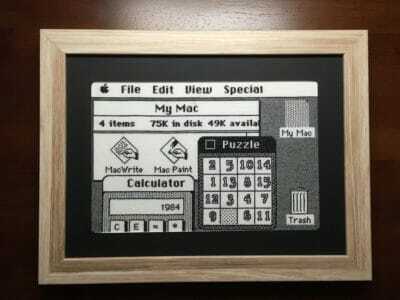 A long-time Apple fan, she’s been busy creating miniature needlework masterpieces modeled after classic Apple interfaces. And, man, are they awesome! During the day, Glenda Adams is an iOS developer for Fetch Rewards, a company in Madison, WI, which makes a grocery rewards app. However, it’s in the evenings when her Apple geekery is on full display. 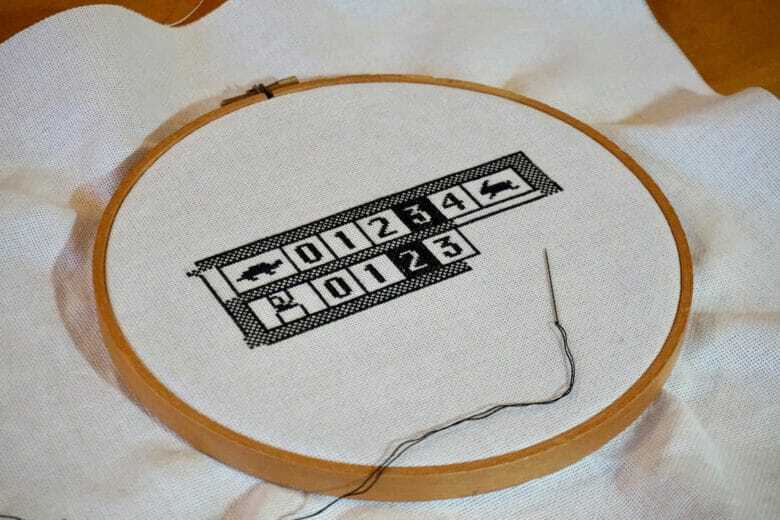 An Apple fan dating back to the Apple II days, for the past several years Adams has found a unique way to combine her love of Mac with her cross-stitch hobby. 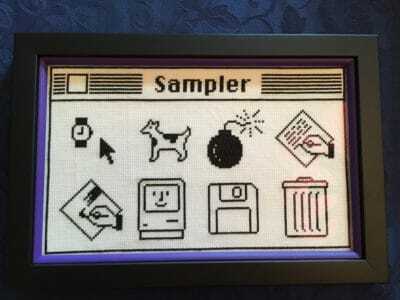 The result are miniature needlework creations which pay tribute to the work of great Apple interface designers, such as Mac icon maestro Susan Kare. She settled on screens from old Mac and Apple II programs due to the smaller color palettes they required to faithfully recreate them. 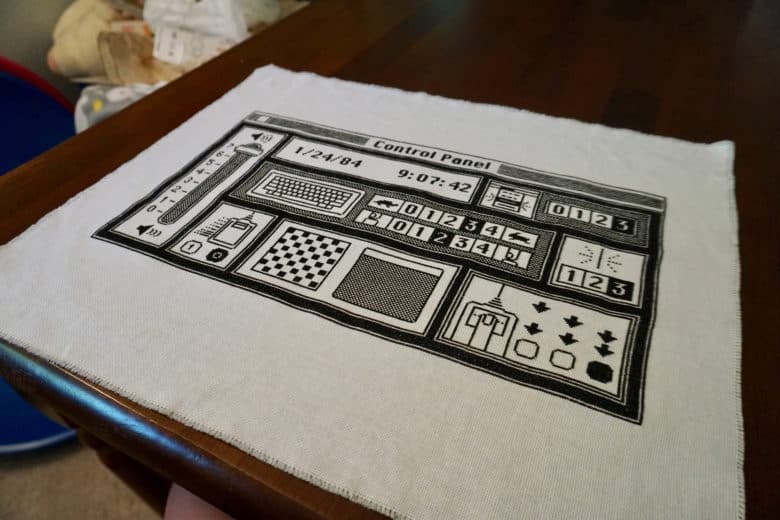 Her latest is a recreation of the classic Mac Control Panel, stitched into a 14×8 inch masterpiece. The perfect accompaniment to any fan’s office. Unfortunately, fans shouldn’t hold their breath expecting to buy her finished creation. Or, at least, not quite yet. Hurry up and take our money, please!